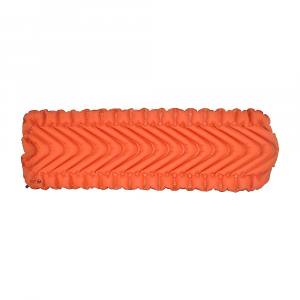 Great budget, inflatable sleeping pad. 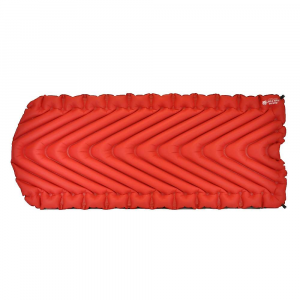 Overall it is a decent sleeping pad and I would recommend it to anyone. Very durable, I've been using this pad already more than two years and never had an issue with it. Also it comes with a patch kit, but I never used it. It is a little bit narrow. I'm searching for a little bit wider pad with similar weight and R value. Several inches will be enough. Note that other high-priced brands are even more narrow. You may also consider Klymit non-insulated series, which is lighter and smaller, For spring-autumn it may be totally sufficient. 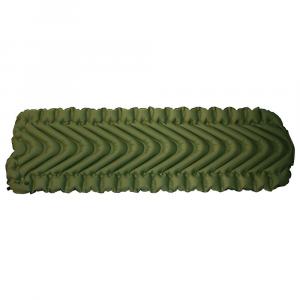 In my opinion at this price range this is the best sleeping pad I found so far. Thanks for the review, George. If you end up with a new pad, I hope you'll let us know how it works out. Fantastic pad for the money! Lightweight! This was my first backpacking trip, so I didn't want to break the bank until I knew I wanted to do this again. 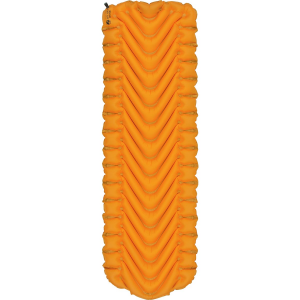 That being said the Klymit Insulated Static V Lite sleeping pad was a great decision. It weighs less than a pound and was really easy to inflate. I think eventually I will upgrade to a thicker pad so I get a better night's sleep, but I cannot blame this pad for what I am used to sleeping on at home. 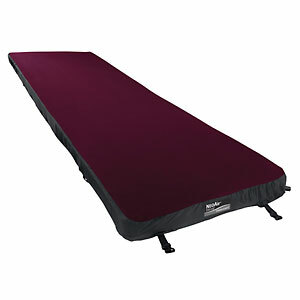 This is a great pad for the money and I'd recommend it to anyone looking for a great sleeping pad.